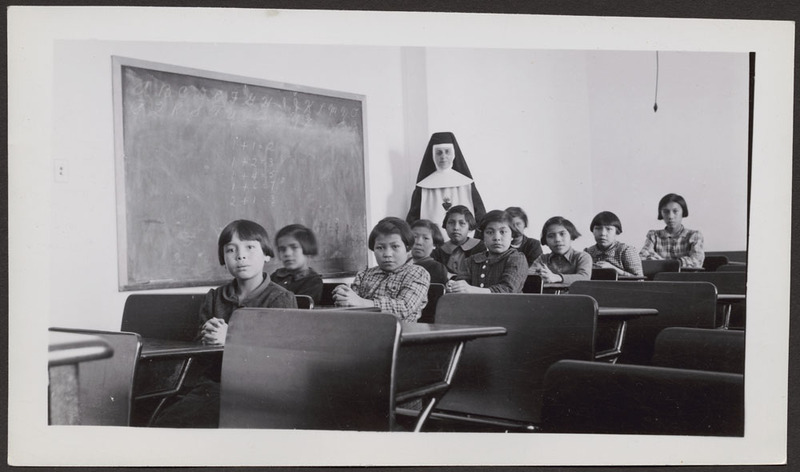 Library and Archives Canada (LAC) is presenting a series of galleries consisting of photographs of residential schools, federal day schools and other similar institutions attended by First Nation, Inuit and Métis children in Canada from the late 19th century to the 1990s. Organized by province and territory, the images featured in these galleries derive from many collections held at LAC—both government and private—and represent a selection of our holdings. 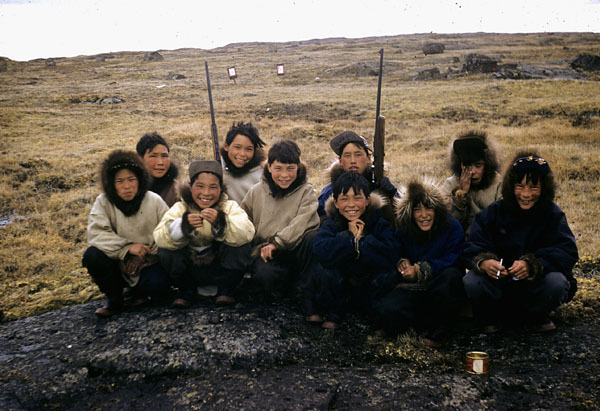 The majority of the photographs were taken by federal government employees who worked for the former Department of Indian Affairs and Northern Development. You can find photos of residential and federal day schools in Accession 1973-357, RG85 and RG10. Use Archives Search—Advanced to search for additional images not included in the galleries. 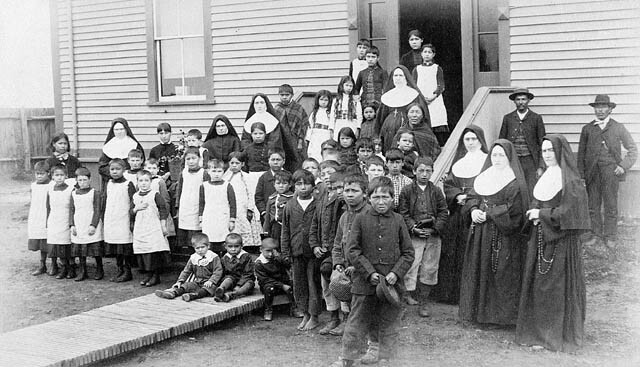 Two examples include the group of students at Cross Lake Indian Residential School in Manitoba and the page of six photographs showing different views of Lejac Indian Residential School and other buildings in Fraser Lake, British Columbia. Some of the images are found in the collections of other government departments, including the Department of the Interior (Accession 1936-271), the Department of Mines and Technical Surveys (Accession 1960-125) and the National Film Board of Canada (Accession 1971-271). Photographs of the students, staff and schools are also found in a number of private collections—Henry Joseph Woodside, Joseph Vincent Jacobson, Kryn Taconis and Charles Gimpel—to name a few. You can access additional photographs of Aboriginal students and schools using Archives Search—Advanced. 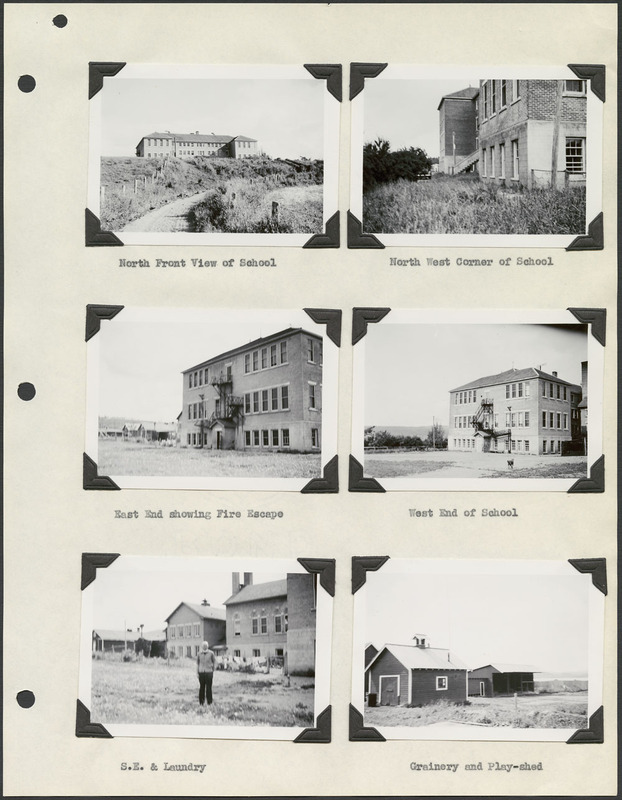 For tips on searching the database, see the Online and non-digitized photographs section in Residential School Records Resources under What is found at Library and Archives Canada. If you have information about a photograph, please let us know. We will add this information to the record in the database. You will need to include an image reference number, for example, PA-102543, e011080332, e011080332_s3 or the MIKAN number—3614170. Albums featuring sample sets are available on LAC’s Flickr and Facebook pages. Library and Archives Canada (LAC) is pleased to announce updates to the Aboriginal Heritage portal. Representing Canada’s three Aboriginal groups: the First Nations, Métis and Inuit, the portal offers material organized by cultural group and subject, as well as resources for Indian residential school research. Whether you are a first-time or experienced researcher, the portal will be the starting point for anyone interested in Aboriginal Heritage. It offers a wealth of resources held by LAC, ranging from archival and published materials, to research guides, tools and databases. These resources include existing material, such as the Indian Affairs Annual Reports, 1864-1990, as well as a new resource called the Guide to the Indian and Northern Affairs Canada “File History Cards, 1872-1984″. Over the coming months, new research tools will be added to the portal as they become available.